Brucella is an important zoonotic pathogen which causes significant commercial loss in industry and considerable disease in livestock and human. Diminishing fertility and also abortion in animal and Malta fever disease in human. In spite of some successful vaccines against animal brucellosis, no satisfactory vaccine has been produced against human brucellosis. Accordingly, OMP31 as a major immunogenic and immunodominant protein in Brucella melitensis has been used to predict substantial epitopes against human and/or sheep MHCII alleles in three different continents (America, Oceania, and Europe) through bioinformatics tools. In order to validate region-based projections, the accuracy of epitopes was assessed by Vaxijen, an online server. 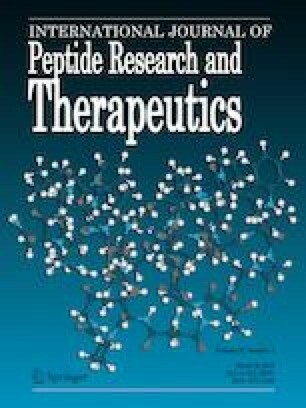 The structure of these peptides was predicted through PEP-FOLD server. Predicted epitopes were sifted through docking studies with relevant MHCII receptors and finally, docked complexes were evaluated by molecular dynamic simulations. According to the frequency of human and sheep alleles in different regions, “FGTVRARLG” and “YIGINAGYA” epitopes can be considered for American, Eastern European, and Asian human populations and also sheep flocks of Australia and New Zealand (Corriedale breed), United States (Polypay and Rumbouillet breeds) and France (Rambouillet breed). Besides, “AINNNWTLKSE”, “FLESKVNFH”, “VLGAETDFQG”, and YIGINAGYA can be significant in American and northern Indian human populations and also sheep of France (Suffolk and Columbia breeds), England and Scotland (Cheviot breed) and United States (Polypay breed). Eventually, “AINNNWTLKSE” and “VQAGYNWQL” might be important in American human and Britannia (Scottish Blackface breed), United States (Columbia, Rambouillet, and Polypay breeds) and French (Rambouillet breed) sheep populations. Funding was provided by Ferdowsi University of Mashhad (Grant No. 92045).